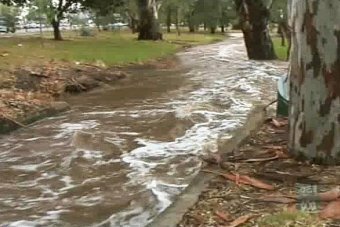 All residents likely to be affected by the 1:100 year flood mitigation project will be letter boxed later this week with a Fact Sheet that clearly explains the amount of work necessary to, as far as possible, prevent flooding in the City of Unley and downstream (West Torrens). These works include a Part A, that has now been approved by the Stormwater Management Authority (see link below), and Part B which may or maynot include a dam in the upper reaches of Brown hill Creek. This document will clearly define the size of culverts required in either scenario. It is important to note that the part A works were widely consulted in late 2011, Unley had several Open Days, and received representations at that time. Unfortunately, everyone seems to remember the No Dam debate as the supporters of this gained extensive air and media time and gained over 5,000 signatures on a a petition, and no one seems to remember what the rest was about. This did include culverts, at that time, in Arundel, Ave, Chelmsford Ave and Oakley Ave (in Goodwood South). I received only one complaint. The works no longer include the streets west of the railway line as these can not be constructed due to both the railway works and the fall of the land. When you get your pamphlet please add your comments to this blog or send me an email if you need further clarification. Don and I intend to door knock the immediate area after you have had time to digest the information. 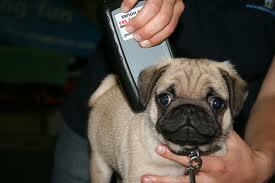 Get your cat or dog microchipped for $25 by a qualified Vet. Rail noise can be caused by both flanging and wheel squeal, they are both measured in decibels.The critical noise level is >105 for flanging and >100 for wheel squeal. About 1:20 bogies have been taken off the tracks for checking after being identified by sound monitors; of those inspected 30-40% appear to have no defects. Each bogie is individually identified. Increased wheel squeal in the Goodwood Junction area may be caused by the additional dust on the tracks due to the current work (now it's probably mud), this may improve when the work is finished. ARTC updates it's complints qurterly. 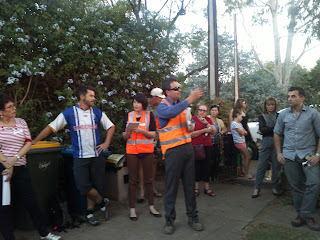 In recent months complaints have come from Forresrtville, Nairne Tce, Arundel Ave as well as others outside of Unley. Given the legth of the track network this seems like a lot of local complaints. Keep on complaining, it might see on of these chosen as a test site. My suggestion is for a lot of different people to complain rather than one or two people often. The complaints number is 1300 550 402. Each cluster of complaints leads to a track inspection. The irony of this is that ARTC say the Goodwood Junction project is to blame and DPTI say the problem lies with ARTC. All in all an interesting and informative experience. At 6am this morning thousands of people gathered at the Memorial Gardens for the Unley Dawn Service. As always it was a moving event. The numbers attending seem to grow each year and many (maybe most) are young. 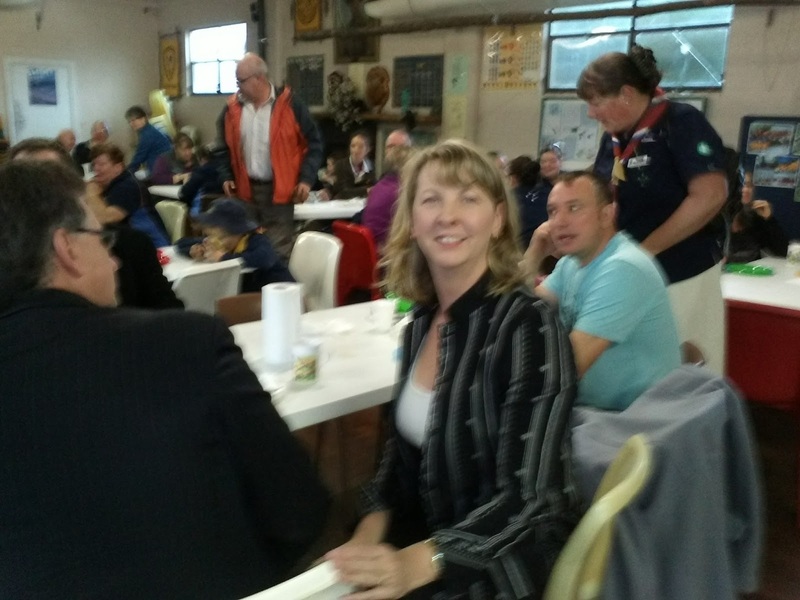 Afterwards I attended breakfast with the Goodwood Scouts and Guides in Clarence Park.This was an enjoyable morning event for all who attended. The G-RAG website has just been update. The 6th Newsletter is now available as are the minutes on the most recent meetings. Their website is http://gragblog.wordpress.com/ The time that these people are spending in their work with DPTI is amazing. I thank them for this on behalf of the community. The following Adelaide Now website shows clearly that what is happening in Goodwood South is also happening to others further south. Some empathy must be felt with them. A GROUP of Hallett Cove residents are banding together to have "unsightly" poles moved from where they have been placed in front of their homes as part of the electrication of the Noarlunga rail line. The 8m high concrete poles are being installed every 1.6km along the 30km track, which runs from Adelaide to Seaford. The poles will be connected by overhead wires. Columbia Cres resident Marie Jonsson-Harrison wants the poles being installed opposite her house moved 100m to be in front of vacant land off Lonsdale Rd. "We will have an unsightly structure blocking the beautiful view," Mrs Jonsson-Harrison said. "It will absolutely devalue our home." Mrs Jonsson-Harrison said residents were discussing plans to fight the poles, including a petition. Her neighbour Richard Flashman said he bought his home because of its view. "It's difficult to say if it will devalue homes until we go to sell," Mr Flashman said. "But that's obviously on people's minds. "A spokeswoman for the Planning and Transport Department said it was "not a viable option" to move the poles. She said there were several factors that determined the poles' location, including the sighting of signals for train drivers, environmental conditions and nearby vegetation. "All efforts have been made to reduce impacts to residents along the line wherever possible," she said. This event seems to be better attended each year, it is well worth the effort to be part of this. There will be there breakfast available at the RSL Unley Sub Branch as well as the attendance of RAAF Cadets and the Unley Concert Band. 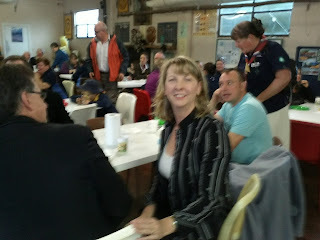 I will be attending the breakfast at Goodwood Scouts and Guides in Frederick St. 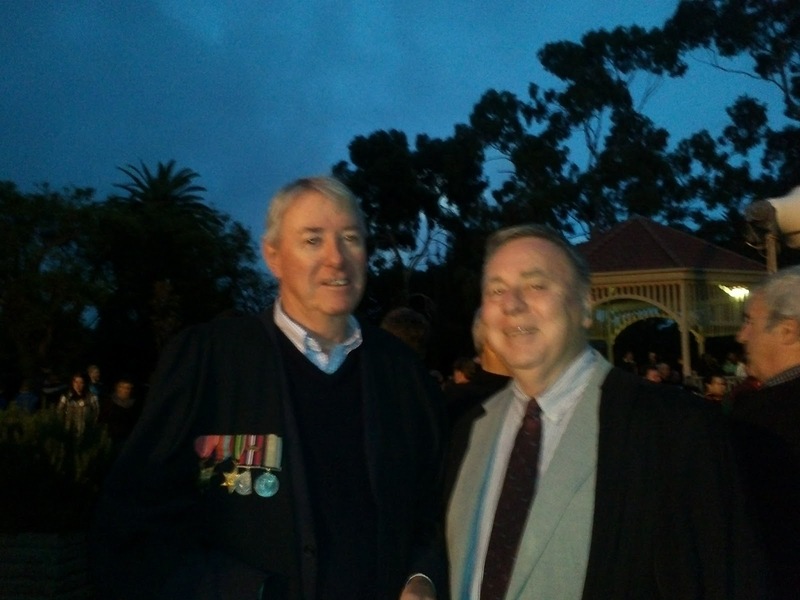 These young people and their leaders are always at the Dawn Service. Is is great to see them at the service each year. Works related to Local Area Traffic Management Plan ( Black Forest) )$135,000. There are lots of other great initiatives city wide that are also worth having a look at. A petition from the residents in First Ave, Black Forest complaining about the speed cushions in Leah St and the subsequent diversion of traffic. I can't see too many people in GS not agreeing with the sentiment. Money has now been budgeted for a Local Area Traffic Management Plan in this area but also including Victoria St, Devon and Essex St. Also the report that I requested should come to June's meeting. More people are availing themselves of the opportunity to speak directly to Council and there will be 4 deputations in fact there were only two;one from residents in Esmond Ave pleading with Council to enforce the conditions of approval that were imposed on Unley Nissan when the site was upgraded. The other from FOCUS in support of the UBED motion being sent to the Development Strategy and Policy Committee. I reserved out 2 matters from the Unley Business and Development Committee (UBED). Two Motions Without Notice were moved at that committee meeting that had the ability to cause the Heritage DPA to be disbanded. I ensured that these motions will now be considered by the Development Strategy and Policy Committee along with all other representations, in making their recommendation to the Full Council.My amendments were support by the majority. The draft budget was endorsed for consultation. I will write a separate blog on this. Rates increase is likely to be 4.5%. Motion from myself regarding the possibility of Council buying a potion of land from DPTI in Devon St to increase landscaping opportunities where the houses have been demolished.This PASSED and is a real win for the residents in that location. Unley won the 2013 Age Smart Award for Leadership Excellence in Age-Friendly Cities at the LGMA Dinner on Friday night. This award recognises our vision, leadership and commitment in ensuring the City of Unley provides opportunities for our residents to remain healthy, connected, independent and autonomous well into old age. While Peter has already applauded the stirling efforts of Celine and Helen in this program, I also would like to take this opportunity to acknowledge the impressive foresight and effort of Peter Tsokas, who has been instrumental in the development of this program. It is his resolve in ensuring we have actively participated in Age Friendly initiatives at federal, state and academic levels which has resulted in our membership in the World Health Organisation's Global Network of Age Friendly Cities and opened doors for us to be selected as a partner and pilot Council for several exciting current and future initiatives. Indeed we are now seen as leaders in this field and we should be very proud of this. I'd also like to acknowledge the work of the Community Services team. On a daily basis they deliver services and programs, exploring new ways of doing things and throw themselves into programs working to enrich the lives of our residents. They are an inspirational team and I thank them for their hard work and their exception care of our community. Many thanks to you all for your dedication and support of our Age Friendly direction and strategies and congratulations to you all on this achievement. Unfortunately, it seems DPTI are ones still not playing nice as this morning, without any further consultation with residents, an officer from DPTI proceeded to poison the sheoak trees at the end of Cowper Rd. The residents have negotiated and pleaded with DPTI to retain all the sheoaks and as the worse case scenario to retain the two larger ones. All this and the gate in the fence and the street trees (that they are happy to have removed) still show on the latest DPTI plans. All the goodwill in the world results in nothing if in the end you just feel like you were told what someone thought you wanted to hear and then they do what they had always planned to do. DPTI this simply isn't good enough and I hope we can enter into further negotiations both at other sites and this one as equals rather than the poor relation From my point of view how do we know that other sites will not be treated in the same manner? How vigilant do we have to be? Will promises already made be kept? This is what happens when it rains! If you remember a while back I wrote a story about what happens when it rains. Well today was the first real opportunity to see what happens These pictures tell the story at Forestville Reserve with what really is a small amount of rain (the photos were taken this morning). Residents concerns that the junction of the new culvert and the original creek bed is fraught problems is almost certainly valid. Referring to Cowper Rd, the residents have worked tirelessly to work with DPTI to retain the amenity they currently enjoy. They wish for their trees to remain and for the fence to be replaced at the end of the street at a height that may provide both a visual screening and and some sound mitigation. After many meetings, on site visits and conversations they were sent a letter late this week to say that the trees would be removed. They are devastated and are now planning a petition and further action. Maybe it is time to not play nice? More people are availing themselves of the opportunity to speak directly to Council and there will be 4 deputations. I have reserved out 2 matters from the Unley Business and Development Committee. Two Motions Without Notice were moved at that committee meeting that have the ability to cause the Heritage DPA to be disbanded. I hope to ensure that these motions are considered by the Development and Strategy committee, along with all other representations, in making their recommendation to the Full Council. Leases for many of the sporting clubs have come back from community consultation with recommendations unchanged from what was originally recommended.. This includes Goodwood Saints and the Forestville Hockey Club. The draft budget to be endorsed for consultation. I will write a separate blog on this. Rates increase is likely to be 4.5%. 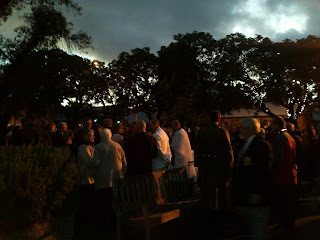 Unley Gourmet Gala, Staff are seeking an in-principle agreement to stage this event in 2014, whether or not Unley gets a staged start. The net cost of this event to Council is $205,000. The final decision on the Elector Representation Review must be made. There are some last minute submissions on representation at large rather than wards. Goodwood South will become Clarence Park at the next election in November 2014 if this is endorsed. Motion from Cr Hudson regarding the feasibility of moving the Citizens Centre to 39 Oxford Tce. This work has already been done and the findings did not support a change on location. Motion from myself regarding the possibility of Council buying a potion of land from DPTI in Devon St to increase landscaping opportunities where the houses have been demolished. This mess site behind the Black Forest Shopping Centre. When the complex was approved there was a designated storage area (enclosed) for rubbish and bins along the eastern fence at the rear of the property. This area still contains some waste although it is also clearly visible. 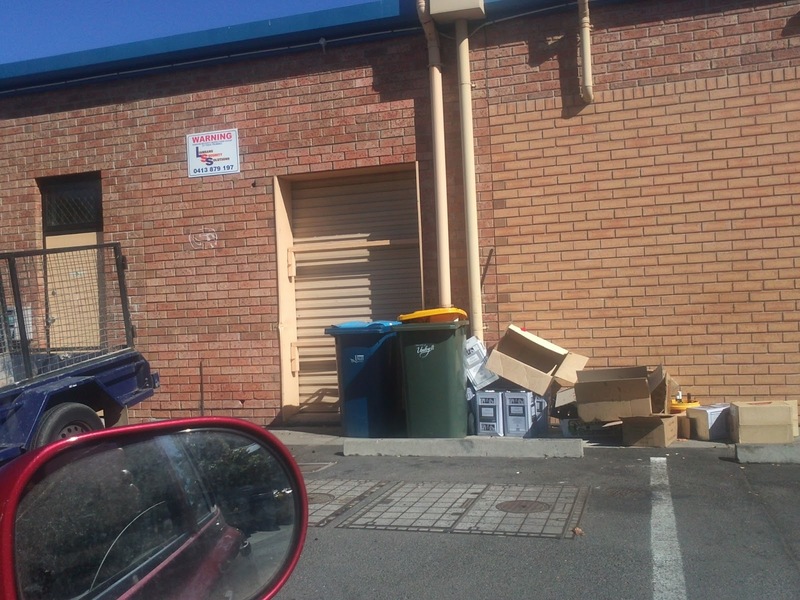 Tenants store both their bins and rubbish immediately adjacent to the rear entrance to their individual store in what can only be described as unsightly and unhygienic. Staff, after inspecting last week, will now make a formal request to the owner of the buildings to comply with their planning approval. Hopefully you will see some improvement soon. to make the front of their stores clean and appealing and think you, the customer, won't notice the back? Below is the link to the proposed legislation to improve swimming pool safety. This will takes you to the proposals to be debated. Council needs input into it's response. Registration of swimming pools – Council based register? If you would like to share your thoughts on this one I can use these to better inform Council's response. This article from the Eastern Courier is worth reading. RESIDENTS are split on Unley Council plans to double the number of properties on its heritage list. The council received 100 submissions as part of consultation on its plans to increase the number of heritage-listed properties in Unley from 154 to 300. Of those, 55 opposed the council's periodic review of it heritage plan. Most of some 20 people who spoke at a public meeting on the issue last week were property owners affected by and opposed to the changes. Common among the speakers' concerns were fears that heritage listings would hinder plans to redevelop the buildings. Most said their houses did not meet the council's guidelines for heritage listing. Martin Cooper, whose house on Rose Tce, Wayville, would be heritage listed under the changes, told the meeting the listing would restrict future renovations. "When I want to do things to preserve the building it will be difficult for me to do so if my house is heritage listed," Mr Cooper told the meeting. "I don't oppose it because I want to destroy this building but when I want to make some changes I don't want to go through bureaucracy." James Morris, who owns a property on King William Rd, Wayville, told the meeting his building did not meet the council's guidelines for heritage listing. Friends of the City of Unley Society (FOCUS) spokeswoman Ros Islip told the meeting her groups wanted all properties listed as part of the draft to stay put. 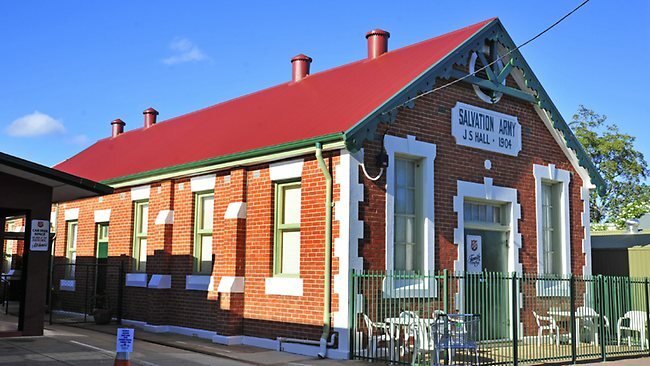 "It is the heritage of these buildings that need to be preserved to maintain Unley as a distinct area with an important history," Mrs Islip said. "We take pride in the heritage character of Unley and there is growing evidence to show heritage listing has a positive impact on the value." A council spokeswoman said the submissions would be reviewed and a report presented to a council meeting in June. The DPTI equipment has now replaced nearly all reversing beepers with squawkers, this new noise should blend into the back ground noise a little better. The effectiveness of the foam and timber paneling for noise mitigation in Devon St is yet to be tested. Graffiti will not be painted out until handover back to Transport SA; the excuse being that many fences are are going to be replaced as part of the project. Not good enough! The level of service at Goodwood Station will not be diminished after the lines are reopened. There are fears in the community that the new Wayville Station might be seen by DPTI as an alternative to Goodwood. Cranbrook Ave residents again expressed their concerns about the introduction of an access gate t the end of their street when the works are completed. The officer from DPTI again said he would explore other viable options and also design a gate that might be acceptable. The Goodwood, Clarence Park Community Centre and the Council offices all have a one-stop-shop information folder on the project-this was raised as an issue as some people do not have internet access. When thinking about what to write about this I turned to Google and found some interesting responses. nevertheless roughly translated it means that you are more likely to get what you want from the people you want it from if you are nice to them and pleasant in the way you deal with them. It seems adversity brings about the best in some people and the worst in others. The current DPTI project has reaffirmed this to me many times over. Those residents with genuine concerns that have approached me either by email or in person have more often than not been extremely pleasant in asking for my support. This support has been given willingly and in return pleasantly. These people have achieved much by being pleasant and polite at all times. Others choose to criticize constantly not what I do but who I am. And yet they still expect to be treated in the same pleasant and polite way that I treat other people and still expect that I will work with them to achieve what they want. When the success is achieved it seems they usually achieved it on their own! What I also don't understand is why people think it is OK to put something in an email that they would never say to your face. So does email give people a license to be rude? At the request of the Goodwood Residents Action group I will put the following motion to Council on the 2nd May. Hopefully it will gain my colleagues support. 1.That a report is prepared by the Administration that explores the feasibility of purchasing land from DPTI, additional to the small parcel in Devon St that has already been offered, for increasing green space in the Devon St, Goodwood area. 2.That this report is prepared in a timely manner so that Council is able to make an offer to DPTI when/if the opportunity arises and if the purchase is feasible. 3.That this include exploring external funding sources for the land and any potential landscaping. • residents are pleased that a ‘sound proof’ wall is to be built in this area although questions were raised about whether the 'modernist' design was appropriate. Residents would like to see other alternatives presented for discussion with them. • concern about the future of the area where homes have been demolished continues. At the G-RAG meeting it was felt that this area provides a great opportunity to increase the amount of green space in the locality. How can this be facilitated? • residents have become concerned that it now appears that an unattractive electric sub-station will be built at the end of the street. Is this so? • residents are very concerned to find that the earlier commitment to restoring the trellis and foliage along Arundel is to be broken and gates now installed at the end of Cranbrook Ave. They are also concerned about the lack of detail re plans for the culvert along the Belair line and seek clarification of these. • concern was expressed about the nature of the ‘sound proof’ fencing along the length of the Goodwood Junction section. One resident was told that this is actually going to be colorbond - which of course will not provide serious sound abatement. Please clarify the nature of this fencing. Only effective sound proofing will be acceptable to residents. • residents along the rail corridor between Goodwood station and Leader St are very upset to find that still no provision is being made for sound abatement and re-vegetation along this part of the project. They believe a green wall structure would be the minimum acceptable outcome. 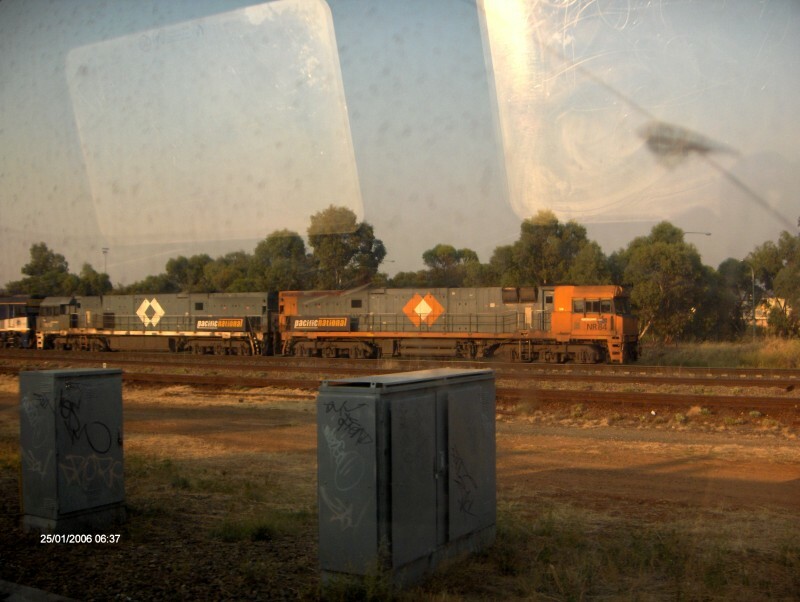 Although we are aware that the Goodwood Junction project team does not regard this as within their ambit, this area is of special concern because of its vulnerability to noise and visual pollution from the rail traffic. • residents are very happy with most parts of these plans. Some specific questions and suggestions are raised (eg addressing the blind corner on Lyon Pde and the Victoria St crossing) that we wish to raise at CAG. • residents are concerned that the pedestrian/cycling crossing is restricted to one side of the street. We believe that this is dangerous and should be re-thought. • concern continues over the lack of detail about the warning lights and sounds and the impact that this will have on local residents. We wish to see details of the planned safety devices. • residents are pleased that the sugar gums are to be protected. • residents remain concerned about the potential for flooding. This appalling mess is the front yard of a property in Goodwood. 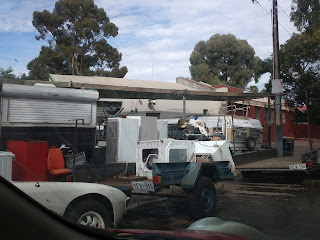 Until yesterday the trailers in front of the property were also filled with junk. Since then the junk has been moved so that all of it is on private property. Can Council do anything about this? Yes, if they consider it unsanitary or a fire hazard. Otherwise they must take the owner to Court. Put this one in your diary; it sounds worth a visit. Multi-media exhibition showcases artwork created through an inspirational and ground-breaking multi-cultural exchange project in South Australia. The Hand In Hand exhibition opens at Hughes Gallery on 17 April 2013 and explores the concept of cultural identity and the sense of belonging. Over one hundred young people from Africa, the Middle East and South Asia participated in a ground-breaking cultural exchange with Ngarrindjeri people of South Australia. Professional community artists worked closely with the participants to develop their skills in photography and video as a form of storytelling. These new multi-media skills enabled the young people to share stories of their past and present lives, including their settlement experiences and their evolving Australian identity. This exhibition is a thought-provoking and poignant reflection of what it means to have a sense of Australian cultural identity built from the stories of many people. Please click the above link to the story on Adelaide Now today. access from Cranbrook Ave to the pump. The orange land belongs to DPTI. Any suggestions for alternate access? 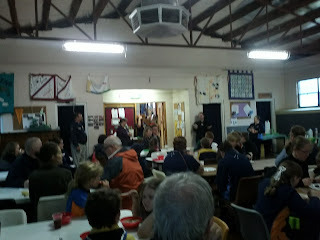 The meeting, held earlier this evening (11th April) was attended by about 40 people. While residents presented their case very well about not wanting a gate and for other entry points be considered I can only describe DPTI staff this evening as being intractable. Some discussion occurred about screening by lattice and/or vegetation but nothing was resolved. DPTI staff have offered to meet with individuals to discuss both the gate proposal and landscaping and, hopefully, this will give them a greater understanding of the issue. What I continue to get annoyed about is DPTI staff making public statements about what Unley Council have done or should that are untrue. Tonight the claim made that Council own the acquired properties in Victoria St (and by implication Devon St) when they do not. At this point in time DPTI own the properties and will continue to own them until the state government have agreed to pay their 50% share of the Storm water/ flood mitigation scheme. Until that time they will be bearing the entire cost of both the creek diversion and the acquired property. A way forward is for DPTI, after the individual discussions, to come back to a small working party to look at options that include access to the pump from other locations. Tonight there was no depiction of what a gate could look like or what could be achieved as screening without one. After this a further public meeting needs to occur to ascertain community support for an solution. 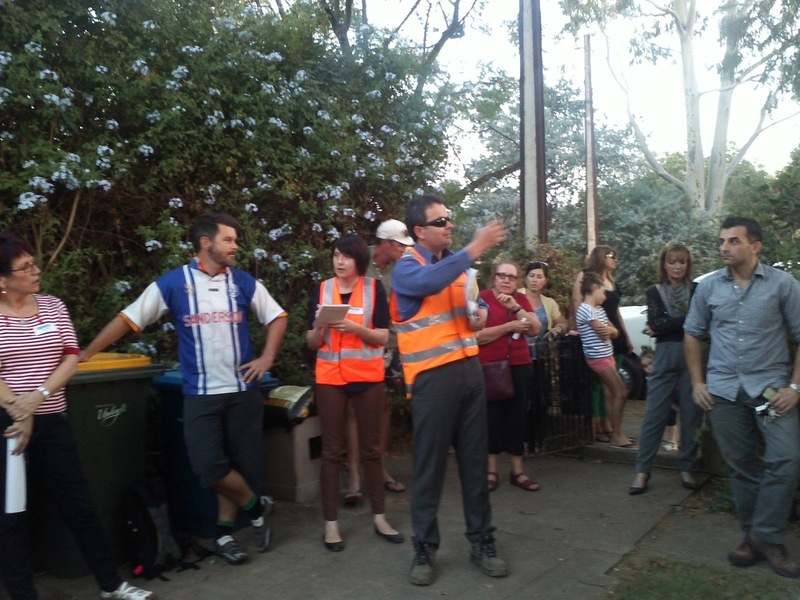 Residents in Arundel and Grantley Ave were also concerned about both landscaping and noise mitigation screening. On Wednesday 17th April persons who made a representation to Council about the heritage listing of more properties in Unley will have their opportunity to make a presentation to the Development and Strategy Committee. This information will be used to inform the committee and Council about how the proposed list (agreed to by the Minister) needs to be fine tuned before a final recommendation is made and the properties added to the Local heritage Register. This meeting was to be held on the 15th. The public are welcome to attend; it's at the Civic Centre. A recent Motion without Notice to the Unley Business and Economic Development Committee has raised some concerns about the proposed list and the effect that heritage listing might have on the economic viability of some properties, especially those in commercial precincts. I have reserved this for further discussion as I believe that much hard work has gone into being where we are with this list and it seeks to undermine this good work. For example, the list is kept confidential until interim protection is given by the Minister, if Council now have to start again those individual properties that persons are not happy to see listed may be bull-dozed ( with consent) during the review time. The first free Friday trail at the Swimming Centre was a measured success. We had 104 persons take advantage of the offer. The kiosk during the trial received $321 in income, meaning revenue was actually increased based on historical trends. The centre remained safe with no extra staff required to operate the facility above base levels under legislative guidelines for safe pool supervision. ABC radio have this morning performed a live radio cross from the centre acknowledging The City of Unley and its commitment to offering the swimming centre as a service until the end of May when other local government facilities have closed. Free Friday trial was also advertised. Council is currently working on two projects to promote bike riding and sustainable transport choices within our area. Over the past three weeks, we have been collecting stories from people travelling to work in the morning. The final sessions for this part of the project will be occurring next week at Unley Shopping Centre (15 April), Cnr Porter St and Greenhill Rd (16 April), and Cnr King William Rd and the western commuter route (17 April). Through these sessions we are finding out what form of transport people are using to travel to work, why they choose the modes of transports they use and how they feel about the different forms of transport. After the sessions next week, the stories collected through this process will be shared with the community through the Travelling Well Your Say page (http://yoursay.unley.sa.gov.au/travel-smart-project) and will also be used to inform the development of the new Sustainability Strategy and Plan. As part of the Travel Smart grant we received from the Department of Planning, Transport and Infrastructure (DPTI) in 2009/10, we will be piloting a bike bus (Unley Cycle2City) to encourage residents who work in the CBD to ride their bike to and from work. We are currently seeking people interested in being cycling leaders or participants. This opportunity is being promoted through the Unley website and the Unley Life messenger column. Please feel free to promote this through your networks as well. To find out more about either of these projects, or to register your interest in participating in the Cycle2City Pilot, please visit http://yoursay.unley.sa.gov.au/travel-smart-project, or contact me on 8372 5118 or by return email. This committee met last week after a bit of a break over Christmas. The enthusiasm of the group to eventually see the freight train diverted through Truro remains strong. Statistics tell us that the current line will be running at capacity by 2025 (just 12 years away). The committee decided that it was premature to lobby hard at the upcoming Federal election but that we should continue to create an identity for ourselves and meet with Stephen Marshall (Liberal opposition leader) and Vicki Chapman (shadow Minister for Transport). All other politicians and would be politicians will receive communication from us to try to secure a commitment to a further study the viability of this project (ie if there is a good economic argument then provide providers may be prepared to fund). We also agreed to develop a new Terms of Reference statement and for subcommittees to be developed and active; these might include Members of Councils, noise abatement,etc.To do this effectively the committee will need some new and active members. Some of you might find this link to be useful. It will take you to the Friends of the City of Unley Society website and then to a diagrammatic representation of the most recently lodged development applications. You can gain more detail about each or follow the application process on Councils website at; https://online.unley.sa.gov.au/ePathway/Production/Web/GeneralEnquiry/EnquiryLists.aspx?js=863634420 . You need to know the address to do this or a range of possible street numbers. $1000 fines for 'ugly' yards?? The issue of people using their own yards to store junk beyond what most people would consider to be reasonable has been a perennial problem for Council and for residents. As described in today's Advertiser a West Torrens Councillor will be putting a motion to that Council to request a state government bylaw change to give Councils more power. 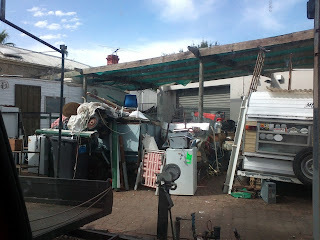 Currently the only power they have is to get a court order for the property to be cleaned up or inspect the property under the Environmental Health Act to see if the conditions are unsanitary (read breeding rats) or a fire hazard. I can name a few properties that I see in my travels that would fit into this category quite nicely. Some recent discussions in Millswood have resulted in some improvements in the street concerned. 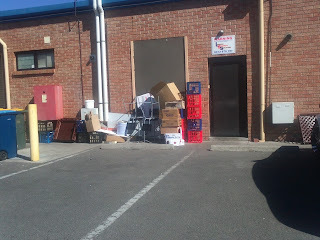 I'm often amazed when I knock on doors just how much junk people have on their properties. A recent doorknocking afternoon found a property that was so overgrown and had so much junk stored against the fence that it was clearly not being managed effectively by the elderly owners. When offered help from Council it was refused. A similar motion to Unley to support West Torrens may help to push this idea along. · need to view community centres in the same way as our open space and ensure that this is retained for our community. · there is an opportunity to strengthen linkages between community centres, and Council’s community services team. additional monies should the Greenways project fall short of resident expectations. Fortunately, for us many of these are in the budget as part of the overall budget and do not need to be included as initiatives.Only the William St street improvements, the gym equipment and the Masterplan still need to be added to the budget. The amount requested for the LATM was $80,000. The suggested footpath replacements do not reflect what I believe to be the need and will need to be again negotiated with staff. The Local Area Traffic Management plan (Black Forest) is continuing. Tonkins will now look at the representations and the information collected at the group sessions to devise a draft plan. This will be run past Don and I as Councillors and the reference group that has ben created from interested people. Of greatest concern to me is the management of bicycles, cars and pedestrians in Canterbury Tce and the management of Byron Rd, especially near the Princess Margaret Playground. The proposed 25 kmp speed limit in Leah St (during the duration of the DPTI works) is yet to be implemented as it languishes on Minister Koutsantonis’ desk. It would seem that the residents of First Ave , Second Ave, Ethel St and Charles St are getting the traffic diversions as motorists try to avoid Leah St; they’re not happy either; this may lead to further speed limiting devices or a different treatment for Leah St. There has been some consternation about the potential tree removals at the end of Grantley Ave (the ones with ivy growing on them). DPTI offered to remove he trees while removing other trees they considered essential for their own purposes. Residents have asked that the trees be left in place. The trees would appear to be in decline but do still help with the screening of the train line. They will not be removed unless they fail completely. The fate of two significant trees that Aroha Tce residents were recently asked to make representations about to the Development Assessment Panel are yet to have a decision made. These were identified in the recent tree survey as presenting a high risk of failure to the public. 669 South Road sill presents an issue as he owners of the property have not accepted Council’s request to pay a rent for the parking spaces they annexed. The feedback about the Langdon Ave trees has been inconsistent as some residents wish to keep the iron barks that were ear marked for removal. Other residents want trees not identified removed. Some claim they are damaging their properties. Tree maintenance will soon occur in Birkdale Ave and Chelsmsford Ave as requested by residents. Line marking needs to happen on a more regular basis and should begin to be better maintained in the next budget. After a request in the budget for funds to do this staff have assured us that recurrent funding will be adequate to do meet a higher standard. A request for information on Council’s website about bookings for Goodwood Oval (and other facilities) has been referred to the Council’s Communications team. Ponding of water at the end on Grantley Ave should be eliminated when DPTI have finished constructing the new stormwater channel on their side of the fence and cleared the drainage channel that connects the street to the channel. Solid gates may be constructed at the end of Cranbrook Ave by DPTI (and probably the other gateways). I have added this matter to the Community Advisory Group Agenda, this will meet next on the 17th April. Please also take the time to regularly check the G-RAG website for updated information (http://gragblog.wordpress.com/ ) about their efforts and concerns with the DPTI project. It is worth a read.